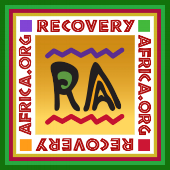 Dan is the Chairman of the Board of Recovery Africa (RA) and Executive Director of Hopeful Way Foundation. He is a person in recovery who went to Ghana as a Peace Corps Volunteer in 1967, and until the present has been working with developmental activities in various parts of Africa. He believes that the RA mission is to assist programs rather than projects in Ghana, projects where Ghanaians make a commitment to assume ownership and sustainability. While RA is primarily a 12-step related organization, Dan confirms that RA also assists faith based and other approaches. He believes that RA has an important role to play in promoting collaboration and building a recovery movement in Ghana and beyond. Dan spent much of his career of over 30 years working with labor relations and development programs in numerous African countries. In 2001, as he was nearing retirement, Dan became aware that alcohol was becoming the master rather than the servant and was having negative consequences in his life. He made the decision to start his journey into recovery and, with the help of God, his wife, daughters, and many others, what an amazing journey that has been! In 2005, as he was settling into retirement in Ghana, Dan recognized a lack of resources for individuals struggling with addiction. At the time only one 12-step group was operating in Ghana. In an effort to assuage this lack of recovery options available to Ghanaians, with the help of volunteers and professionals in Ghana and the United States, Dan established the Hopeful Way Foundation in 2009. Hopeful Way seeks to raise awareness of the dangers of alcohol and drug abuse and provide safe environments for recovering addicts. Under Dan’s leadership Hopeful Way has expanded greatly since its inception in 2009, encouraging the establishment of several 12-step programs, championing training initiatives, and the opening of two recovery houses. Also, Dan championed opening the House of St. Francis, a rehabilitation facility, in 2012. An Oxford House for women is soon to open and a consortium, “Recovery Ghana”, was established in September, 2014 to make best use of limited resources. He would also like to assist in the establishment of a regional training center in Ghana. Dan has also engaged the participation of various volunteers across the country from Georgia Southern University, Texas Tech Universities, Peace Corps Volunteers, and various recovery professionals from around the United States to help bring recovery resources to Ghana. In order to further recovery in Ghana, Dan is one of the founders of Recovery Africa “bringing hope, wellness, and productive lives to families and communities in Africa”. Dan is instrumental in raising consciousness around recovery and is a “mover and a shaker” in building a “recovery movement” to Ghana.